There’s no better way to get into the holiday spirit than by shopping, eating, and then shopping some more – it’s simply tradition. So it’s a good thing it’s almost time for all the winter, holiday, and Christmas craft fairs and markets in Metro Vancouver. This flea market is more like a party because it has a DJ, beer, and a delicious selection of hot eats from a variety of food trucks. Check out the 50-plus vendors offering plants, collectibles, handmade items, and vintage clothing. The Christmas spirit is coming to Vancouver a little early this year, as the Circle Craft prepares for its 44th annual market. 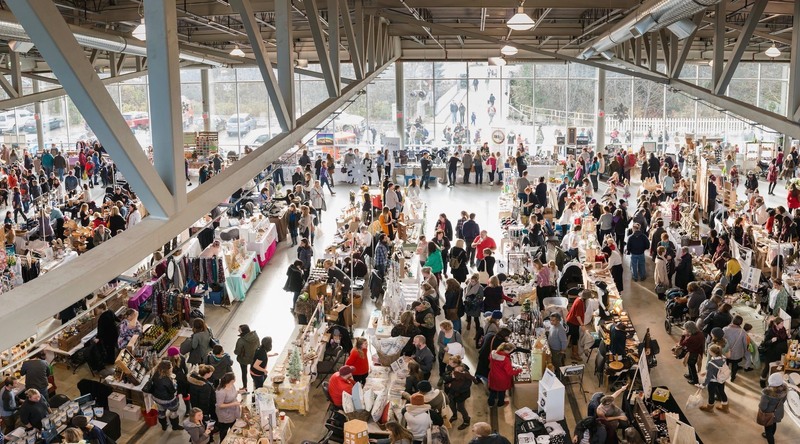 The Circle Craft Christmas Market hosts more than 300 different artisans and vendors from across Canada, and features everything from pottery to fashion to craft distilleries. Enter the Hycroft Edwardian mansion during the holidays and you’ll find all three of its floors decked out in seasonal splendour along with a variety of unique boutiques and crafters along with 25 local artisans. Outside the manor, the courtyard will be buzzing with activities and entertainment including Emelle’s Catering Trailer. The River District Craft Fair aims to support local businesses by featuring BC artisans from the area. Head here to get your holiday fill of food and gifts. The 35th annual Dunbar Holiday Craft Fair will feature thousands of handmade crafts, 140 local artisans, various entertainers, and prizes. Over 2,000 people attend each year and find wonderful gifts and delicious prepared foods such as cakes, cookies, jams, and jellies. The 10th Annual Holiday Craft Fair at Kensington Community Centre will feature holiday gifts and stocking stuffers made by talented local artisans along with raffle and door prizes for attendees. This fair also offers free parking. The 8th annual authentic German-inspired Christmas Market creates the perfect atmosphere to get into the holiday spirit. Experience a selection of traditional food and beverages, and browse vendors offering authentic wood carvings and toys, knitted goods, nutcrackers, pottery, and other unique gifts. There will be tons of kids activities and the opportunity to ride downtown Vancouver’s only Christmas Carousel. The Strathcona Winter Craft Fair offers 15% of its tables to not-for-profit vendors free of charge, and it also features artists representing Vancouver’s Strathcona and Eastside communities. With an emphasis on local and grassroots vendors, you’ll feel great heading here to get your holiday gifts. Free parking for this fair is available via Pender Street at Princess Avenue. This annual craft fair is a fundraiser for Western Front. It features a variety of BC artists and artisans and attracts over 2,000 visitors each year. Proceeds from TOQUE support the music programs year-round at Western Front. It's official: Vancouver's Santa Claus Parade WILL happen this year! This show is a fun, upbeat shopping experience that showcases artists, crafters, and makers from all over Canada. Find over 265 exhibitors selling gorgeous handcrafted items. This holiday show features beer garden, live music, and food trucks. Make It! also has a silent auction with items donated by vendors where 100% of the proceeds will go to benefit the Union Gospel Mission. Parking for this market is $12. Head to Got Craft! to celebrate a decade of handmade goodness. Shop for locally made goods, enjoy plenty of good eats, and craft a DIY project to take home. This fair also offers free swag bags for the first 50 people at the event each day. The Crafty Affaire Holiday market promotes unique and modern handmade items, as well as some vintage treasures. There will also be food trucks and hot beverages available at this market. Price: $2 admission, kids under 12 free. This fair offers attendees exclusively hand crafted items and goodies. Head to the West End Community Centre on November 25 and 26 to check out this market with free entry. The annual holiday show of this Vancouver-based artisan collective will feature all kinds of handmade goods and products for the holiday season. This event aims to seek out new artists and connect guests with talented artisans in their community. On December 16 and 17 local curio shop, This Monkey’s Gone to Heaven, will present the first annual Weirdos Holiday Market. Taking place Betamax Studios, located at 2244 East Hastings. This market will showcase an eclectic array of local artisans and unconventional gift ideas. Vendors will include Mush Appreciated, an educational jewellery collection crafted with real, freshly-foraged mushrooms, Jaik Puppyteeth, an artist and designer whose work is typically bleak, cynical, and funny, Paper Skull Studios, working with pencil, ink, and watercolour to create illustrative images informed by a love of science, nature, and a touch of the existential, along with all the incredible artists and artisans currently featured at This Monkey’s Gone to Heaven. This will be The Vancouver Waldorf School’s 47th annual Children’s Christmas Fair. This fair aims to bring the magic and wonder of the winter season to life with creative activities and events for children, musical performances, food and beverages, and a wide selection of quality handcrafted toys and gifts for both children and adults. The 4th annual Burnaby Christmas Craft Fair features 80% local handmade items and live music along with a raffle and prizes. Partial proceeds from the craft fair go towards the music program at Burnaby Central Secondary School. Following the success of previous craft fairs, Alex House is planning another Christmas Craft Fair that will feature homemade decor, gifts, crafts, jewelry, cards, coffee, a bake sale, and much more. The Crafty Affaire Holiday market promotes unique and modern handmade items, as well as some vintage treasures. There will also be food trucks at this market. All handmade, all the time – Krafted Market is on of Delta’s most exciting community markets that takes place during the holiday season. This market has a great selection of local vendors and food producers. Partial proceeds from admission fees go towards the South Delta Food Bank, and there is also free parking. The 37th annual Coquitlam Christmas Craft Fair will feature over 100 BC artisans. The Poirier Forum will be turned into a holiday wonderland offering attendees artisan crafts, prepared foods, holiday gifts, and decor. The Coquitlam Christmas Farmers’ Market will have everything you need to make this holiday a special one. With a selection of artisan crafts, bakers confections, spice, wine, and vinegars, this is one market you wont want to miss if you’re in the area. The Port Moody Christmas Craft Fair is back for their 2nd year with dozens of exciting vendors that offer great gift ideas and stocking stuffers. All proceeds from this event will be donated to the Share Family Services Society. Established in 2011, Bloom Market runs multiple times per year at the historic Fort Langley Community Hall. Admission is $2, and kids under 12 are always free. And proceeds from each market benefiting a local charity, which changes with each Bloom Market. This market brings crafters and shoppers together twice a year for the ultimate shopping experience. With over 60 local vendors from across the Lower Mainland selling high quality and authentic goods in the lovely community of Maple Ridge, shopper can find goodies for their body and face care, home decor, jewellery, fashion accessories, woodwork, vintage chimes, fashionable outer wear, baby clothing and accessories, gourmet sauces, chocolate, wine and more. Attendees will also find food trucks, fresh brewed coffee, tasty pastries and photo opportunities with Santa. Refresh is one of BC’s largest indie marketplaces for handmade and locally designed wares. 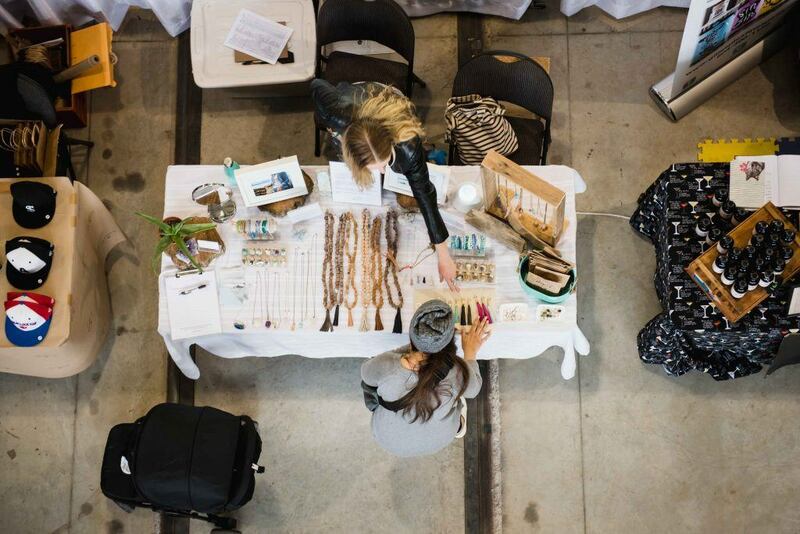 More than 95 makers and pop-up shops will participate in the tenth Refresh Market. The first 50 guests will receive Refresh Market swag bags for both days. For 2017, Refresh will offer First Dibs tickets – the chance for customers to head in early on Friday, November 17 from 3 to 4 pm, these tickets also include a welcome gift and the chance to shop before the market opens to the public. Price: $5 at the door, $3 online, kids 12 and under free. First Dibs tickets are $25. Now in its 10th year, the West Coast Christmas Show is a three-day event that features over 200 vendors and live presentations. Christmas music performed by local bands, choirs, and carollers takes place, along with a huge working model train setup. In Santa’s Workshop, children can learn model making, sand-art, write letters to Santa, and take pictures with the jolly fellow himself.